Women in Tech "A never ending conversation". Organized by Aisha Abdul-Hameed, Facebook Developer Circle Women in Tech Lead Kano. She is a final year student at Bayero University Kano, studying Electronics. Event Description: it's a Female 6 stages Master Hack Classes, which will entail Brainstorming sessions, Master Class in coding and Application Development, and Finalized with a weekend hackathon in which participants will solve local or global problems. Irrespective of our culture and religion, we need to move ahead. Technology is an enabler, stop the stereotype and embrace Technology. If you know what you are doing you will use it right, technology it's like a double edge sword. Get rid of the mentality of mingling with other gender, while tech give you that opportunity as a woman to do amazing things without seeing people. Let's start from here and let's do it right. 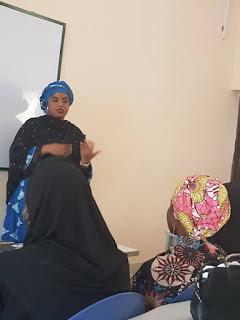 The meetup started with a warm welcome speech by the Organizer Aisha Abdul-Hameed highlighting the main cause of the gender gap which is lack of interest and mentorship in the tech ecosystem. 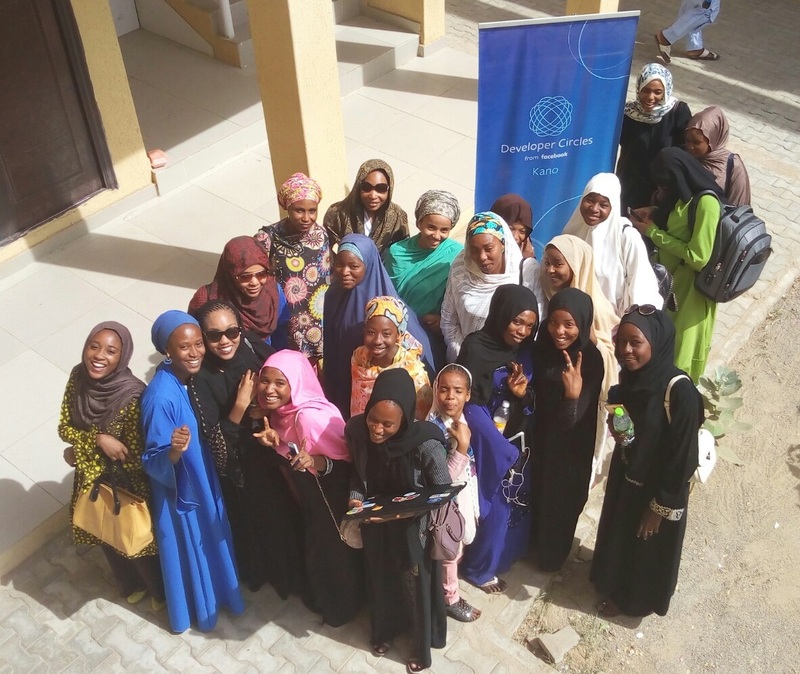 She concluded with a heart to heart discussion with ladies on how to bridge the gap. 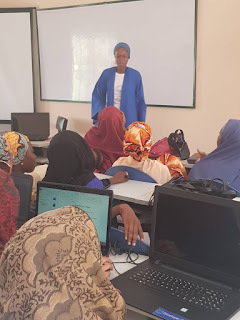 Maryam Lawal Gwadabe a mentor for women in tech ‘White Hat Hacker’ Founder Blue Sapphire e-Solutions, gave her contribution on the need for organizing basic literacy meetup for women in tech, because most women according to her research in the northwest that wants to join the tech ecosystem and embrace tech has no or lack basic computer literacy. Maryam gave the ladies a motivating and encouraging words to embrace technology. 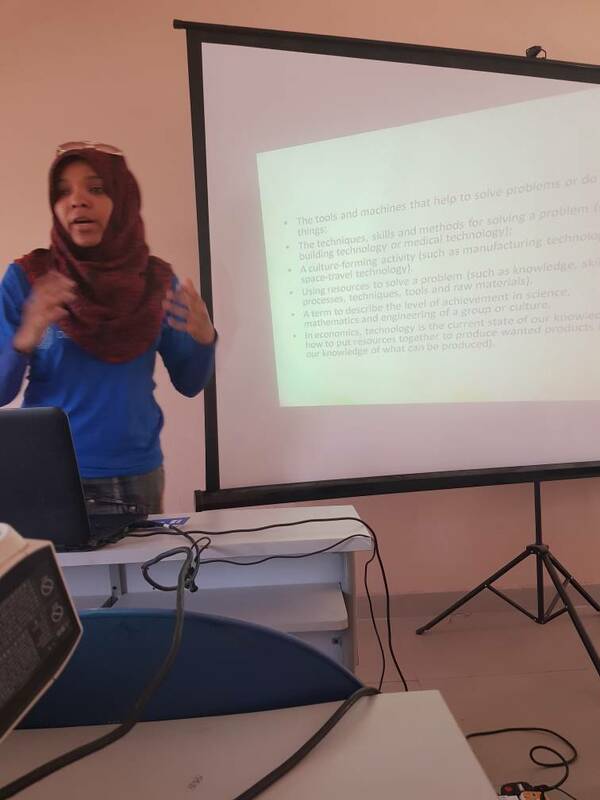 She is currently running a research on why we have less female participation in ICT. 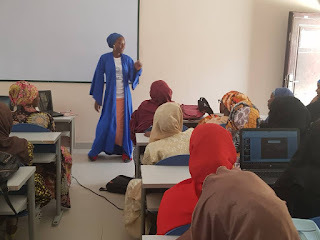 The third speaker Saadat Aliyu, a web developer, discussed on mindset as the key, no matter your background, discipline or whatever you do or want to do, technology has no boarder, gender or race. 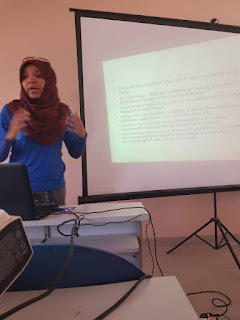 The final speaker Aisha Bint Mahmoud a professional blogger discussed on the topic: Women in Tech "A never ending conversation". Where she highlighted solutions to the low female participation in the North especially Kano. 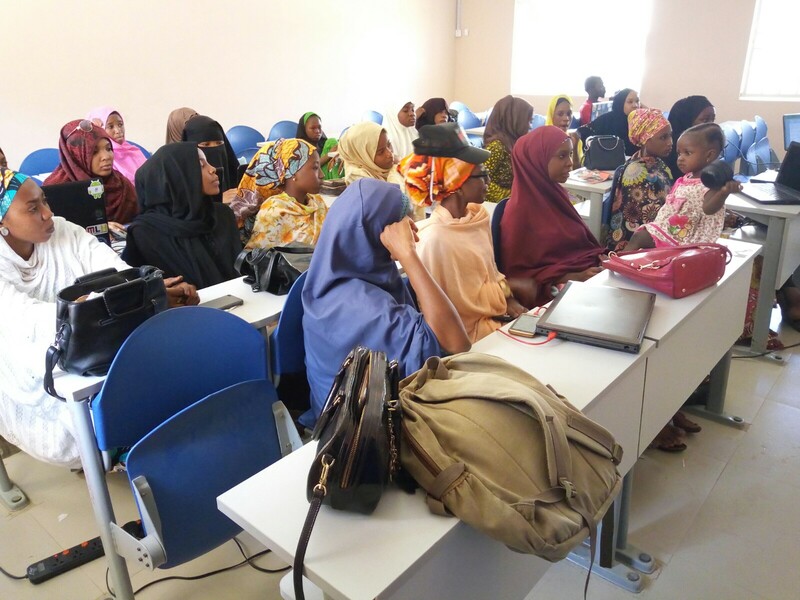 Some developers’ community leads where there to motivate and support the ladies to have a smooth meet up. Aliyu Ibrahim Suleiman Facebook DevC Kano Co-Organizer. Ahmad Muhammad Bature Co-Founder Startup Kano. Have a basic literacy in ICT and you will have an edge in any cause of life. Choose a basic tech activities you feel you have interest and develop a passion for it. Have sincerity of purpose and start. Have plans for your life. Learn one do nine yourself. (Teach me 1 and I will learn 10 more). Learn a digital Skills that has to do with your profession. Have self-esteem and confidence to motivate you. Women love social activities aside tech. Let's make it fun and easier.